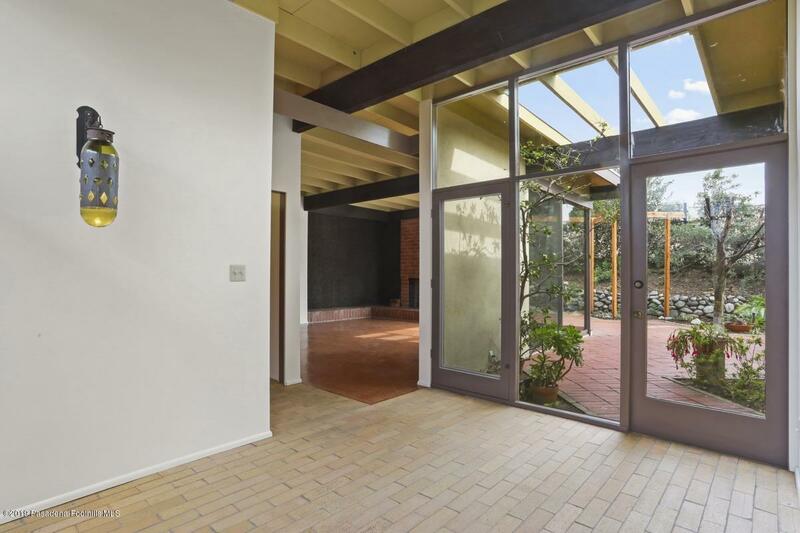 Beautifully preserved Mid-century home built in 1955 by notable architect Franklin D. Howell, III, AIA. 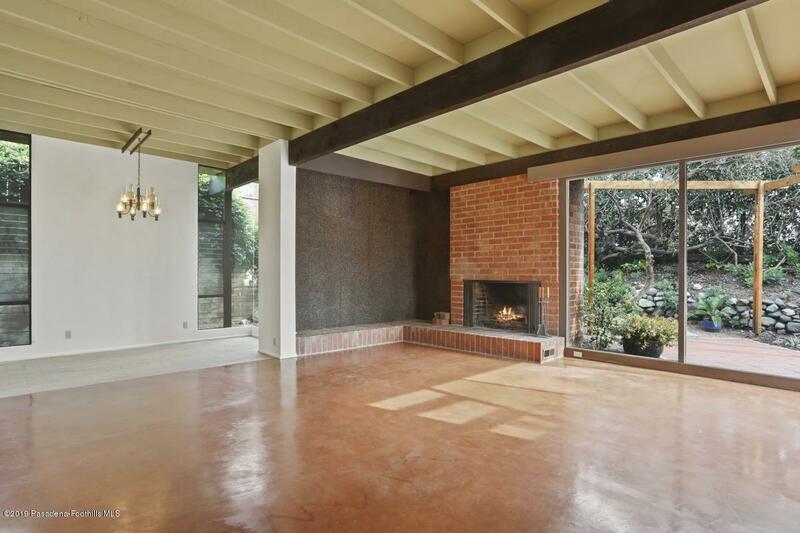 Franklin D. Howell designed Pasadena High School and carefully designed this residence for his family. 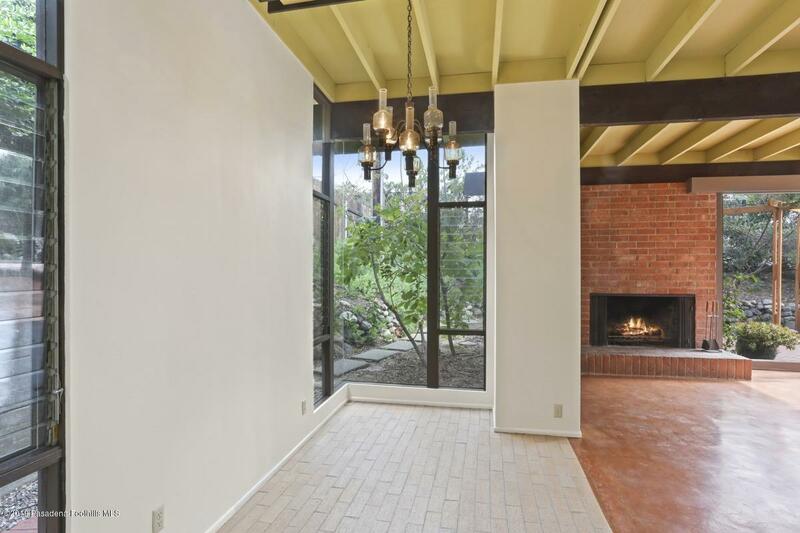 The inviting yellow brick entry brings you to a spacious & open living room with a brick fireplace, restored colored concrete slab and floor-to-ceiling patio doors opening onto the large, private patio/backyard. Adjacent to the living room is the sun-filled dining room with an original chandelier and access to the kitchen. Original cabinets, countertops & ample storage line the kitchen and has been updated with new appliances. Opposite of the front entry is the master bedroom with original parqueted hardwood floors and en-suite bathroom with marbled linoleum. Two extra bedrooms complete the home that share a hallway bathroom. The grounds of this home shine with soft landscape lighting illuminating the native Laurel Sumac, drought tolerant plants and lower play area. A workshop with storage adjacent to the carport offer more space to this one-of-a-kind home. 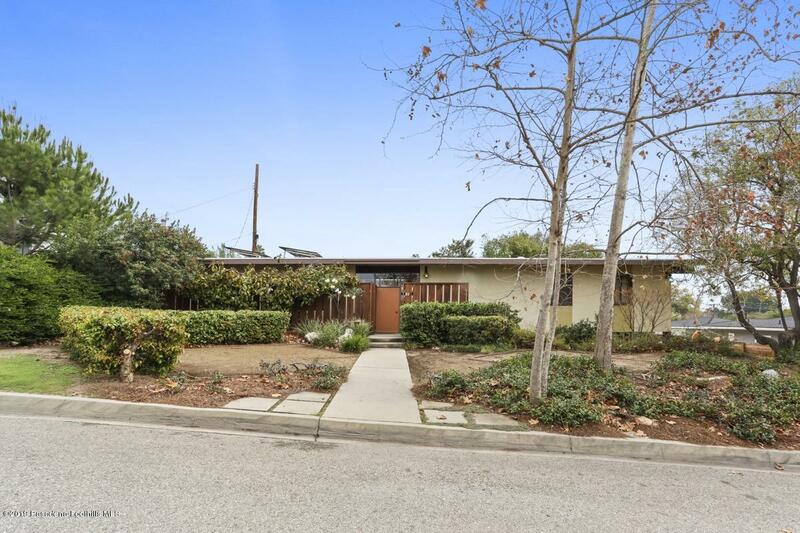 Listing provided courtesy of Lu Gordon DRE#01113951 of Coldwell Banker Residential Brokerage Company.